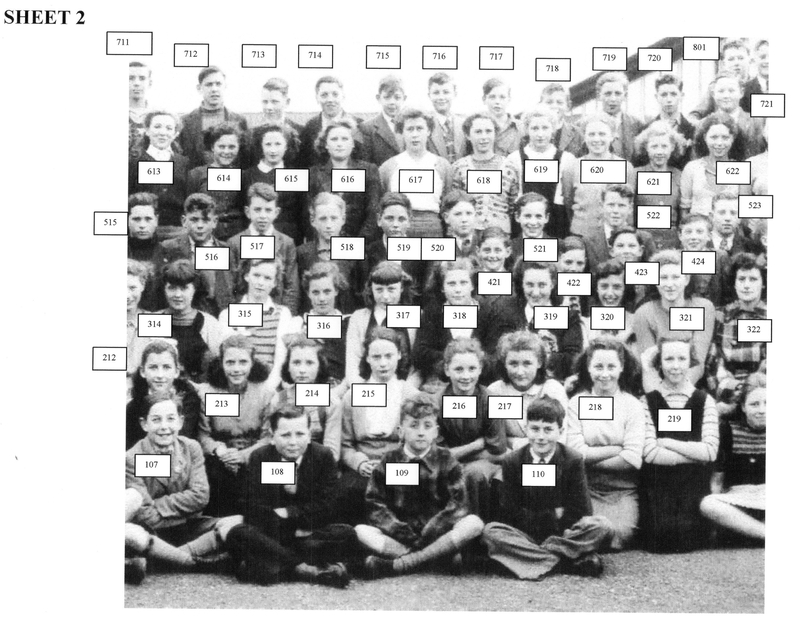 This is the second sheet of the 1950s photo and the listing of the people in it. Can you help and recognise anybody in the photo that to date has not been recognised or perhaps been given the wrong name. There are duplicates and uncertainties in the listing which I would like to correct. The photo on these pages does not magnify very well and a better full screen PDF copy can be obtained by e-mailing to michaelbrowne37@uwclub.net. 212 Janet Gray 423 John Perrin? Bazell? 621 Sylvia? Sad, 622 that’s my sister Evelyn Johnson, now sadly not with us.